The results of a study funded by a National Health and Medical Research Council (NHMRC) grant have just been published in in the New England Journal of Medicine. The chief investigators on the NHMRC grant included the Women’s Professors Peter Davis, Lex Doyle and Colin Morley. 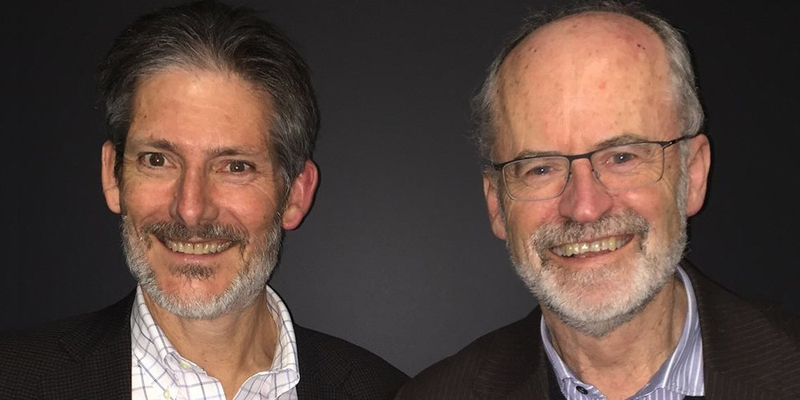 Prof Davis is Director of the Women’s Newborn Research Centre, Prof Doyle is Head of Clinical Research Development at the Women's and Prof Morley is an obstetrician and gynaecologist at the Women’s. All three were members of the steering committee that ran the trial in Australia. Prof Davis paid tribute to the Women's nursing staff who worked hard to make the trial a success and parents, who at a time of great stress, generously allowed their babies to help answer this decades-old question. The study found the risk of death or disability at the age of two years among infants born before 28 weeks’ gestation was 5% higher if they had been allocated a lower targeted oxygen saturation (range 85–89 per cent) than a higher targeted oxygen saturation (range 91–95 per cent), in the results of the BOOST-II study. The BOOST-II Australia (conducted by CTC) and BOOST-II United Kingdom groups combined the results of their two large multi-centre trials involving 2108 infants, 1135 in Australia and New Zealand and 973 in the UK. Their work has provided neonatal specialists and hospitals with new clinical evidence of the safer level of blood oxygen to aim for. The results confirm similar findings from a trial in North America, which concluded that targeting oxygen saturation below 90 per cent in extremely preterm infants was associated with a higher risk of death, but not of disability. Before these findings, neonatologists had targeted oxygen saturation across a wider range, between 85 per cent and 95 per cent. The decision of how much oxygen to give has been a difficult one, because too much and too little can both cause later disability. Now the precision of the target has narrowed considerably. In the combined analysis of the Australian and UK trial, 48.1% of the infants in the lower-target group and 43.1% in the higher-target group had died or had a disability diagnosed by the age of two years. During the trials, there was a correction to the algorithm that provided data from the oxygen meters. In an extra analysis of data from only the revised oximeters in both trials, the rates of death were 24.5% in the lower-target group and 16.9% in the higher-target group. This was a statistically significant difference. Professor William Tarnow-Mordi, principal investigator of the Australian study, says: ‘We now have clearer evidence that the higher concentration of oxygen is superior, increasing survival without an associated increase in disability. If confirmed when combined with the results of three similar trials in the US, Canada and New Zealand, it will help prevent a great many deaths worldwide every year’. Professor Tarnow-Mordi is professor of neonatal medicine at the CTC. He is a champion of trials to improve the treatment and prospects of newborn babies. He adds: "Randomised trials like these are the best way to determine which treatments provide the best outcomes. More trials of other treatments for premature babies are urgently needed to improve their quality of survival. With innovative investment in clinical trial networks and point of care data capture, trials like these could finish much faster, at a fraction of the cost." It took the Neonatal Research Team at the Women’s to come up with the answer. Our team found a cheaper, more comfortable method of supporting the breathing of very preterm babies was safe and effective. That method is now being used worldwide.